Corvette: Why Won't My Vette Start? Did you try to turn the key on your Corvette, but nothing happened? A car that won't start is certainly a buzz kill. Here's a handy guide on how to diagnose the problem and get you back on the road. There is no greater buzz kill than a car that won't start. Whether you're just trying to get to work or the local autocross, a non-starting car can quickly turn a day of fun into a day of torment. There are several issues that can cause a car to suddenly become non-cooperative and refuse to start, and this article covers some of the more common ones. Follow the steps below to help you diagnose and fix the problem so you can get back to the fun (or just to get to work). 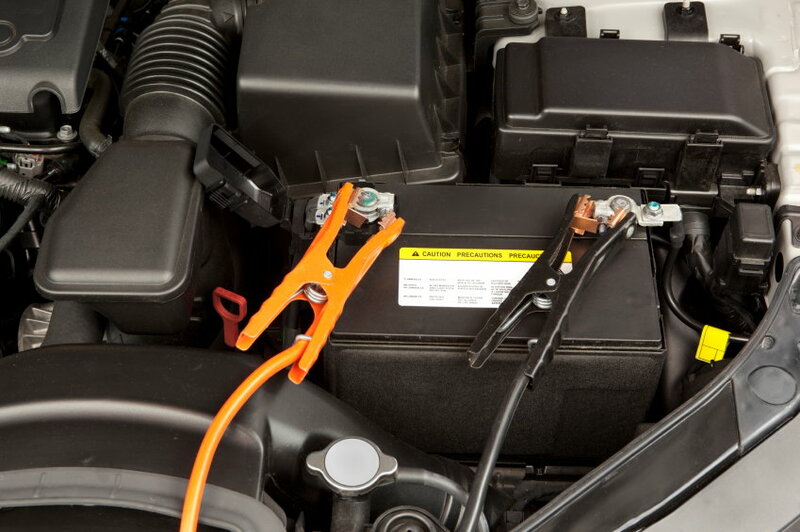 As the common, most frequently overlooked cause, the battery could be the source of your troubles. Grab a pair of jumper cables and a good battery or another car. Connect them to both batteries and wait at least five minutes to give the old battery some time to charge. Then, attempt to start the car again and let it run for a bit. If your battery holds a charge going forward, you are good to go. If the battery dies again, it could be going bad, or you may have another issue. A replacement battery costs around $100, and labor to diagnose and replace would be between $50-150 depending on labor rate. Batteries can be tested for free at AutoZone. Figure 1. Always check the battery first. 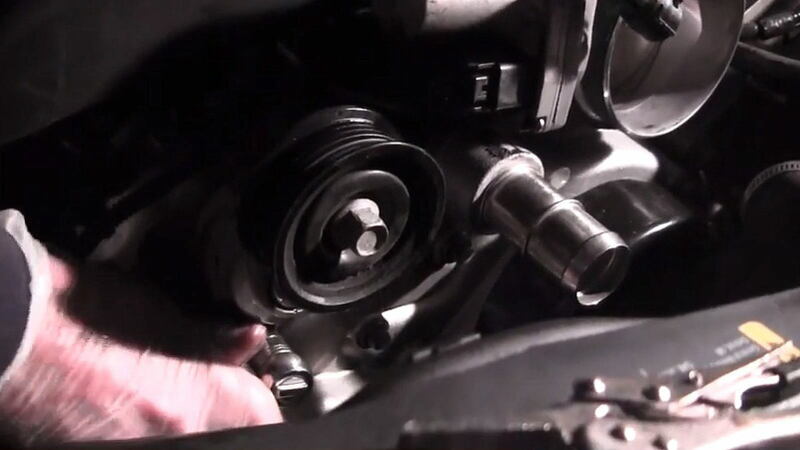 A bad starter will prevent your engine from cranking. Tap the starter with a broom handle or piece of wood. Oftentimes this will make it work again, but if it doesn't, have someone get in the car and turn the key while you continue to tap it. This will at least get the car started, but once you turn the car off again you will have the same problem. Alternatively, you can have the starter tested at an auto parts store and replace it if needed. Be sure and test the solenoid as well. Connect a volt meter to the purple wire on the relay. If it reads 12 volts, the problem is with your solenoid. The good news is, this is much cheaper than replacing the starter itself. Starters can also be tested for free at AutoZone. The cost of a replacement starter is around $2-300, and the rest of the charge reflects labor time. Figure 2. 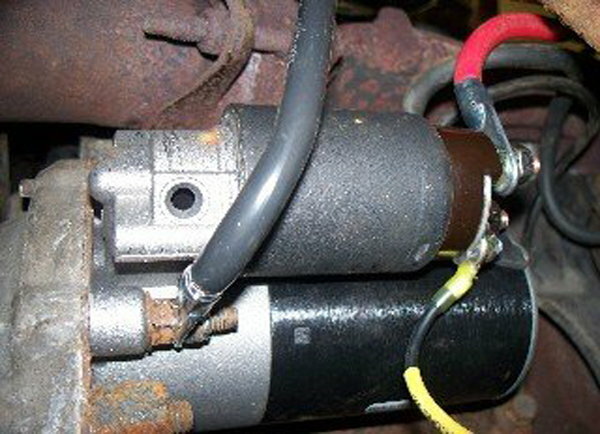 The starter or solenoid could be the issue. If your lights and gauges work but the car won't start, it could be your key fob. 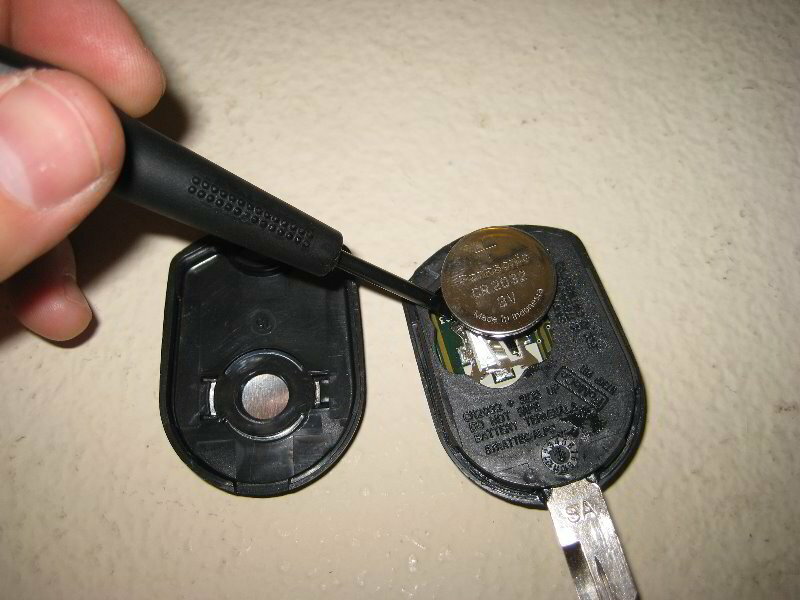 It sounds almost too simple, but if you have a dead battery in your key fob, the car won't start. You may be able to use the lights, and the gauges may even come on if this is the case. Typically you will see "no fob detected" on your car's display when this happens, but not always. A key fob battery is inexpensive (around $10), but if a Corvette owner were to pay their dealer to test and replace it, it could be up to one hour of dealer labor (around $100). Figure 3. The issue could be a faulty key fob battery. You may be experiencing an electrical gremlin. Check the fuses used in the PASS-Key system. There are three, #14 CRK, IGN 2 #50, and Starter #52, that should be hot at all times. These are all located in the passenger side footwell. Next, check the key resister sensing terminal located inside the ignition lock cylinder. There should be a 5-volt signal coming to the terminal when the key is inserted in the ignition. If the correct signal isn't received, your Security light will come on. If the light doesn't come on and the car still won't start, the PASS-Key system isn't the culprit. Replacing fuses is cheap, and easy to do, but if a Corvette owner were to pay their dealer to test and replace it, it could be up to one hour of dealer labor (around $100). Figure 4. Inspect the PASS-Key system. A lack of fuel pressure will prevent the car from starting. Check your fuel pressure. If you have zero pressure, the car won't start. 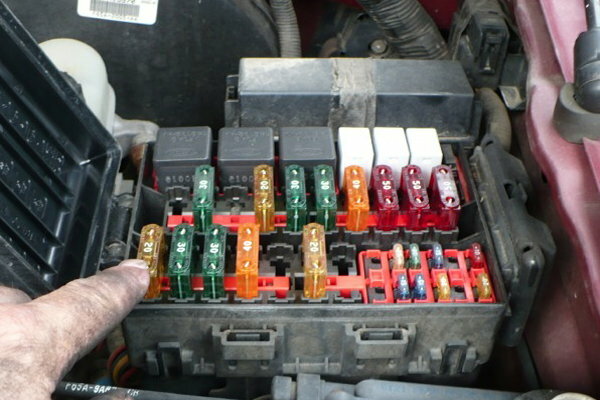 Check relay number 35 in the engine compartment fuse box, which controls the fuel pump. Check the ground on the pump to see if it has come loose. Fuel pumps can also shut off if they get too hot, so letting it cool may solve the problem temporarily. If needed, replace the fuel pump. A new fuel pump can cost up to $500, and assuming that this is the culprit, dealer labor could tack on an extra couple of hundred dollars due to what is involved to reach and replace the pump. Figure 5. Checking the fuel pressure.